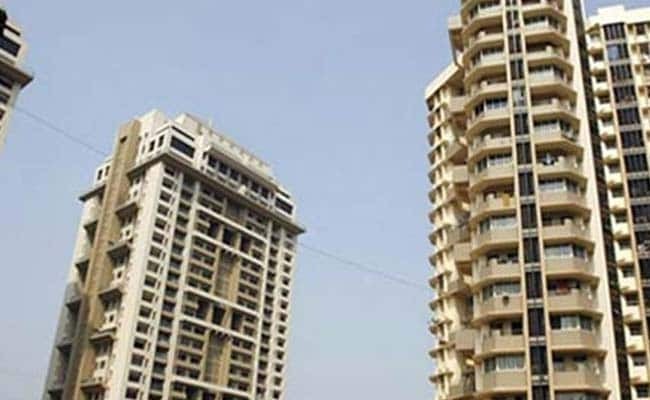 Earlier flat buyers used to pay a service tax rate of 4.5 per cent and a VAT rate of 1-2 per cent for purchase of flats. There has been increasing complaints from flat buyers that after implementation of goods and services tax (GST), builders are asking them, who had booked the flat or made part payment before July 1, 2017, to bear higher tax incidence for payments made after July 1, 2017. "The CBEC (Central Board of Excise and Customs) and states have received many complaints that in view of the works contract service tax rate under GST at 12 per cent in respect of under construction flats, complex etc, the people who have booked flats and made part payment before 1 July, 2017, are being asked to bear higher tax incidence for payments made after 1 July, 2017," the government informed the public through multiple forums. This is against the GST law, the government said, explaining the revised tax rules under GST, which came into effect from July 1. - Construction of flats, complex, buildings have a lower incidence of GST as compared to a plethora of central and state indirect taxes suffered by them under the earlier regime. - Central excise duty was earlier payable on most construction material @12.5 per cent. It was higher in case of cement. In addition, VAT was also payable on construction material @12.5 per cent to @14.5 per cent in most of the states. In addition, construction material also earlier suffered entry tax levied by the states. Input tax credit of the above taxes was not allowed for payment of service tax. Credit of these taxes was also not available for payment of VAT on construction of flats etc. under composition scheme. Thus, there was cascading of input taxes on constructed flats etc. - As a result, incidence of central excise duty, VAT, entry tax, etc. on construction material was earlier being borne by the builders, which they passed on to the customers as part of the price charged from them. This was not visible to the customer as it formed a part of the cost of the flat. - The earlier headline rate of service tax on construction of flats, residences, offices etc. was 4.5 per cent. Over and above this, VAT @1 per cent under composition scheme was also charged. The buyer only looked at the headline rate of 5.5 per cent. In other cities/states, where VAT was being levied under the composition scheme @2 per cent or above, the headline rate visible to the customer was above 6.5 per cent. What the customer did not see is the embedded taxes on account of cascading and sticking of input taxes in the cost of the flat etc. - The situation has changed under GST. Under GST, full input credit is available for offsetting the headline rate of 12 per cent. As a result, the input taxes embedded in the flat will not (and should not) form a part of the cost of the flat. The input credits should take care of the headline rate of 12 per cent and it is for this reason that refund of overflow of input tax credits to the builder has been disallowed. - The builders are expected to pass on the benefits of lower tax burden under the GST regime to the buyers of property by way of reduced prices/ installments. It is, therefore, advised to all builders /construction companies that in the flats under construction, they should not ask customers to pay higher amount of installments inclusive of all taxes to be received after imposition of GST. "The clarification has been issued to discourage the builders to resort to the practice of charging higher price from customers on the pretext of higher taxes on inputs used by the builders. It has been clarified that the tax incidence on the builder would be lower in GST compared to earlier regime because builders were not getting credit for taxes paid on purchase of material," said Sandeep Sehgal, director of tax and regulatory at Ashok Maheshwary & Associates LLP. The government has also cautioned that "despite this clarity on law position, if any builder resorts to such practice, the same can be deemed to be profiteering under section 171 of GST." Added Mr Maheshwary: "This has also been clarified that the said practice if continued would be considered as profiteering and can be referred to anti-profiteering authority for necessary action."